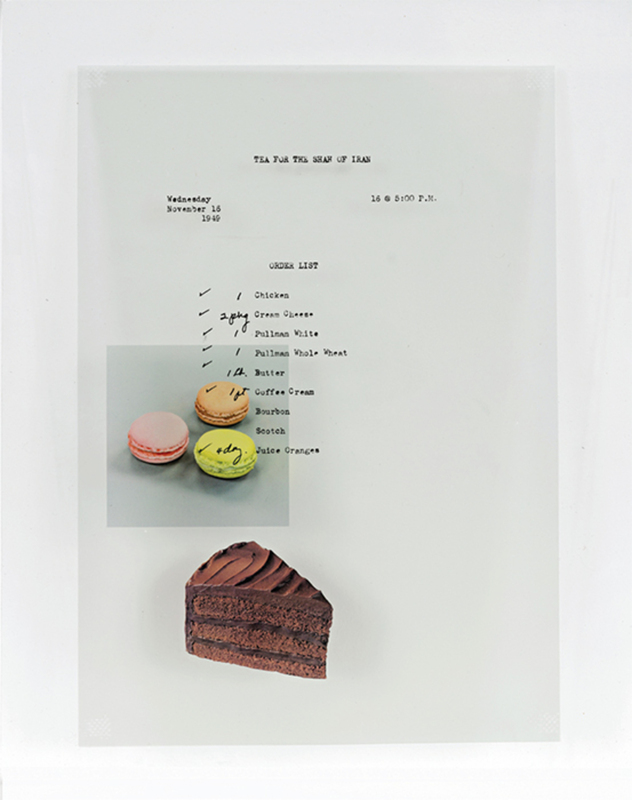 Benjamin Crotty, Menu No. 3, 2016, acetate, glass, 12 × 9 1/4 × 1/8". From the series “Menu No. 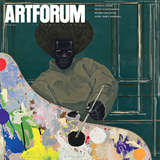 1–15,” 2016. On Wednesday, November 16, 1949, President Harry S. Truman had the shah of Iran to tea. The shopping list for the meal included one chicken, two packages of cream cheese, bourbon, scotch, and juice oranges. By contrast, on October 15, 1947, the same president lunched alone, feasting on a fruit cup, cottage-cheese salad, and, for dessert, a floating island. For dinner, he had a club sandwich.